Dr. Sanchez was very thorough and empathetic with my concerns. I asked questions about different medications and he madesure to answer each and every one in a reassuring manner. Great visit! Dr. Sanchez was very thorough and empathetic with my concerns. I asked questions about different medications and he made sure to answer each and every one in a reassuring manner. Greatvisit! I am very satisfied with my visit. Doctor Sanchez was great, so I was the staff. I felt heard when Iwas telling him about what was going on and we really talked about what was happening and the options I had. He took his time to make sure I understood the diagnosis and exams options, etc.. I made lots of question and patiently, he answered all of them! I am very satisfied with my visit. Doctor Sanchez was great, so I was the staff. I felt heard when I was telling him about what was going on and wereally talked about what was happening and the options I had. He took his time to make sure I understood the diagnosis and exams options, etc.. I made lots of question and patiently, he answered all of them! Dr. Herbert Estiu Sanchez is a dedicated family physician and primary care doctor looking after the communities of Palo Alto, Santa Clara, and San Jose, CA. 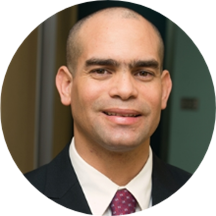 Dr. Estiu Sanchez attended Universidad de Ciencias Médicas de Santiago de Cuba, where he was honored with his medical degree. Subsequently, he earned his residency in family medicine at Natividad Medical Center. Dr. Estiu Sanchez practices at Instant Urgent Care. He is board certified by the American Board of Family Medicine and is a member of the American Academy of Family Medicine. He is trilingual and welcomes patients who speak English, French, and Spanish. Patients visit him for a variety of reasons, including arthritis, asthma, hair loss, high blood pressure, and pneumonia. He also undertakes pre-travel check-ups and pre- and post-surgery check-ups. Dr. Estiu Sanchez takes time out to listen to each patient's health concerns and works on the treatment accordingly. He believes in the delivery of quality patient care that focuses on patient comfort and seamless recovery. It was fast and I got really good insights into my health. Dr Estiu Sanchez is the best doctor I have ever had the privilege of knowing. He is extremely polite, and listens attentively to everything, responding in a very intelligent way that addresses all concerns with a range of effective solutions,and importantly, without any bias, agenda or ignorance. It is clearly apparent that he has a lot of experience, and his wisdom is compounded with a genuine desire to help in the best way possible, keeping an open mind. Moreover, his support outside of the office, with respect to check-ins, and even issues at the pharmacy, is unparalleled. Dr Estiu Sanchez deals with issues in a timely manner, and provides a level of care that is echelons above what I expect from any healthcare system in the world. Thank you for such an exemplary level of service, and I look forward to our continuing relationship as my primary doctor. I had a pleasant, straightforward visit. He explained the lab tests and told me how to check with my insurance if I was covered for them. Excellent, he listens to you and give you full time if you want to discuss your health conditions. Thanks! He listens to you and make sure to answer all of your questions. If he was located in San Bruno where I live, would have chosen as my Primary Doctor. They gave us 3 diagnosis in less than 5 minutes without even making us an MRI order for a strong headache with fever!